1- New parsing rules that are not based on SGML but are oriented towards flexible parsing and compatibility. 2- Support of use of inline Scalar Vector Graphics (SVG) and Mathematical Markup Language (MathML) in text/html. 3- New available elements include article, aside, audio, bdi, canvas, command, datalist, details, embed, figcaption, figure, footer, header, hgroup, keygen, mark, meter, nav, output, progress, rp, rt, ruby, section, source, summary, time, video and wbr. 4- New available types of form controls include dates and times, email, url, search, number, range, tel and color. 5- New available attributes of charset on meta and async on script. 6- Global attributes that can be applied for every element that include id, tabindex, hidden, data-* or customer data attributes. We are Providing the best, most innovative HTML5 development and consulting services on the market, OdiTek has extensive experience with creating high performing, feature-packed HTML5-based web and mobile experiences. Backed by strong technical expertise and delivery excellence, our team of developers has the ability to effectively execute all kinds of projects which have a need of HTML5. Our skilled developers have built excellent websites and applications that are consistent across all browsers. HTML5 is the latest and most well adopted standard of HyperText Markup Language. Although it is not a programming language, it is still an essential component of web applications, and even sometimes modern desktop and mobile applications. 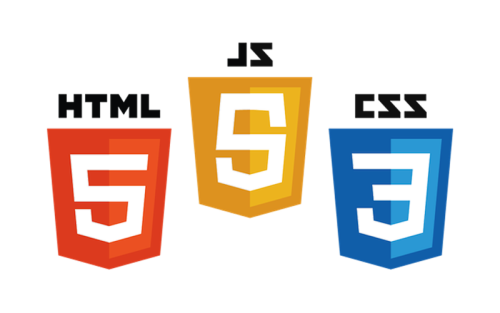 Familiarity with the HTML5 specification is an important skill that all front-end web developers must possess. Adaptable, highly self-motivated and resourceful leadership methods that has proven to promote and encourage innovation, productivity and quality within an organization. As we have Frontend Web Developer/ Software Engineer with over 10 years of experience in web and application development, many of which has been spent designing, developing, and integrating enterprise level applications, and as web and mobile apps have become increasingly more complex in terms of API and state management, we believe in staying up to date on all current frameworks and libraries, and implementing best architectural design patterns, maintainable documentation, and flexibility for rapid growth. 5- Familiarity with differences in other HTML5 based views, such as ones in email clients. There are myriad of frameworks are being released by developer community in certain time span to help developers to deal with messy code and conflicts.The below list of Best HTML5 Frameworks which will help you to simplify your development process without much endeavors. Foundation was the first open-source framework to be responsive, semantic, mobile first and now, have partials with Interchange. Foundation 5 has just released, which is the fastest release to date – faster in all aspects of building products and websites. Enyo is a framework for building native-quality HTML5 apps. It’s cross-platform compatible and battle tested. Enyo has powered apps for Palm phones, the HP TouchPad and now the 2014 LG Smart TV. Mootor is an HTML5 framework for developing mobile apps. It’s minimalist and works on multiple platforms, including iOS, Android, and others. Pikabu is a framework for creating off-canvas flyout panels. It has simple markup, supports native scrolling, and is fully customizable. No theme, just barebones HTML and CSS. Pikabu is super customizable to your needs. This module is also hosted on Mobify’s CDN. HTML5 seems to have been around forever but it was in fact only finalized in October 2014 – although it has been implemented for around five years prior. More and more of the web's legacy sites are switching to this markup language due to its functionality and ability to create responsive web design, and HTML5's involvement in new sites is virtually taken for granted . However, HTML5 implementation is not as straightforward as it may seem, especially for new and inexperienced web designers. Neither skilled nor amateur web developers or designers can operate effectively without good HTML5 tools. Here we've provided a list of the most essential and best HTML5 tools to help create amazing modern websites. Adobe Dreamweaver. Dreamweaver is still a great HTML5 tool. Bootstrap. Bootstrap is free and open-source.